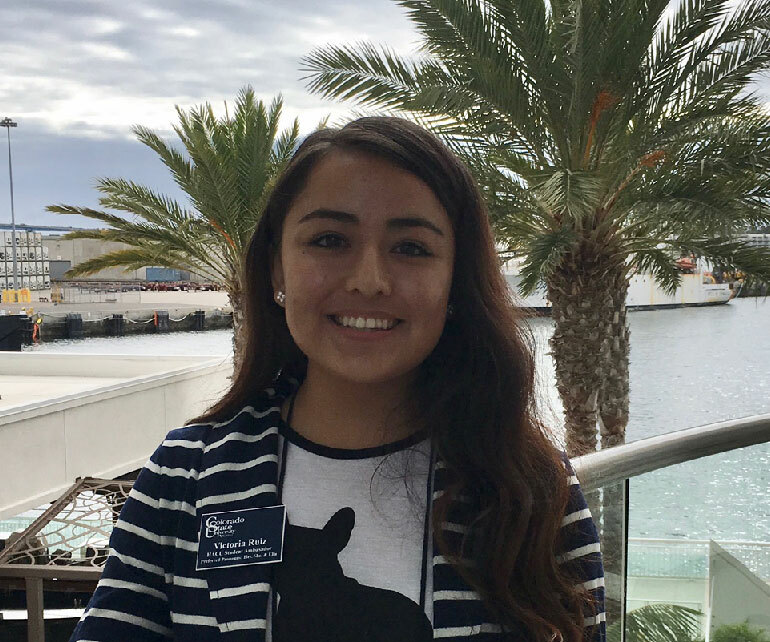 PUEBLO – A Colorado State University-Pueblo mass communications student is one of six recipients of the Alliance of Hispanic Serving Institution Educators (AHSIE) 10th Annual Seed to Tree 10th Student Scholarship. Victoria Ruiz will share her story of attending an Hispanic Serving Institution as part of the AHSIE conference co-hosted at the University of Illinois at Chicago on March 25-28. The 2018 conference attracts practitioners of grant programs from HSIs around the country together to share best practices. The six scholarship recipients – two at the associate degree level, three working toward a bachelor’s degree, and one graduate student – will each receive complimentary travel to the 10th Annual AHSIE conference in Chicago, lodging at the Hilton Hotel and conference registration, along with a $1,000 cash award. Ruiz, who maintains a 3.75 grade point average in her pursuit of a bachelor’s degree in mass communications with emphasis in journalism and minors in Chicano Studies and creative writing, was selected from among 64 applications representing the states of Arizona, California, Colorado, New Mexico, Nevada, Texas, Massachusetts as well as Puerto Rico. At CSU-Pueblo, she has led the CSU-Pueblo campus’ Latinx Student Union during the tumultuous rescinding of DACA, which has fortified her resolve to give even more. This phrase not only challenged Victoria, but allowed her to grow into it and accept that sometimes one just has to create their own pathways. “After graduation, I hope to continue my education and pursue a master’s in communications or Chicano studies. My hope is to conduct research that connects cultural identity and media exposure. I believe research about Latino/as in society and how media may influence identity is sorely lacking,” Ruiz said. Natchel Bello Luna, San Diego Mesa College; San Diego, California, Associate of Arts in Business. Kristen Teneyuque, San Antonio College; San Antonio, Texas, Associate of Arts in Liberal Arts, Associate of Science in Biology, and an Associate in Applied Science—Registered Nursing. Selena Carbajal, California State University, Fresno; Fresno, California, Bachelor of Arts in Psychology, Women’s Studies, and Chicano Studies. Sara Sanchez, University of California, Riverside; Riverside, California, Bachelor of Science in Biology. Jasmine Arellano, University of La Verne; La Verne, California, Master of Science in Educational Counseling, Pupil Personnel Services Credential with a Spanish Bicultural & Bilingual Concentration.